I've written another book! The knitting patterns, words and photos are all done and now in the hands of the editors and designers. It'll be published in October 2012. 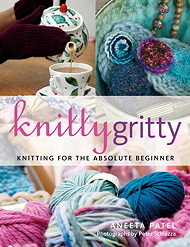 This will be a intermediate level book with techniques such as knitting in the round, knitting and sewing up raglan finishes, wrap and turn, kitchener stitch, 3-needle bind off, and more. 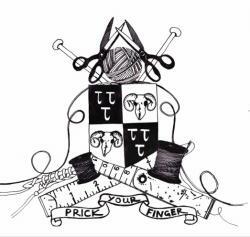 Projects will include a simple lady's jumper with waist shaping and fully fashioned raglan finishes, a bulky man's jumper, socks, a beaded evening bag, goodies for the kids and much more! 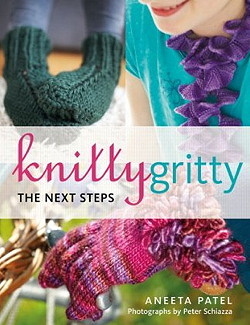 Knitty Gritty is available to buy directly from myself at the RRP £16.99. You can pick up a copy at one of my knitting classes or I can post you one (+ £4 recorded delivery p&p within the UK). If you wish I can also write a message and sign it inside! Just contact me and I'll arrange for you to receive a copy. With detailed instructions, and photographs to accompany you at every step, Knitty Gritty - The Next Steps shows you how to knit lace, how to use beads, and how to read and create charts to knit Fair Isle and intarsia patterns using different colours. You will also learn the secrets of knitting in the round, so you too can knit socks like a pro!